Our market remains strong as we head into yet another spring season of low interest rates and low inventory. Buyers were backing off last quarter, but they seem to be coming out in full force again with relocations from out of state contributing to greater competition. 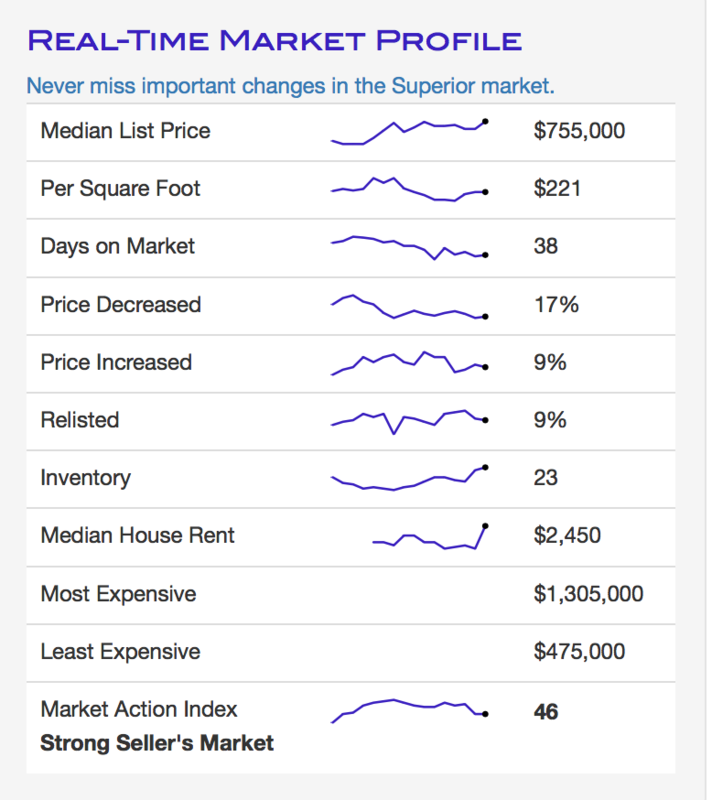 The median list price took a large dip down from $739,000 in early August to $637,000 in mid November but is back up to $699,900 as of the end of winter in March 2019. 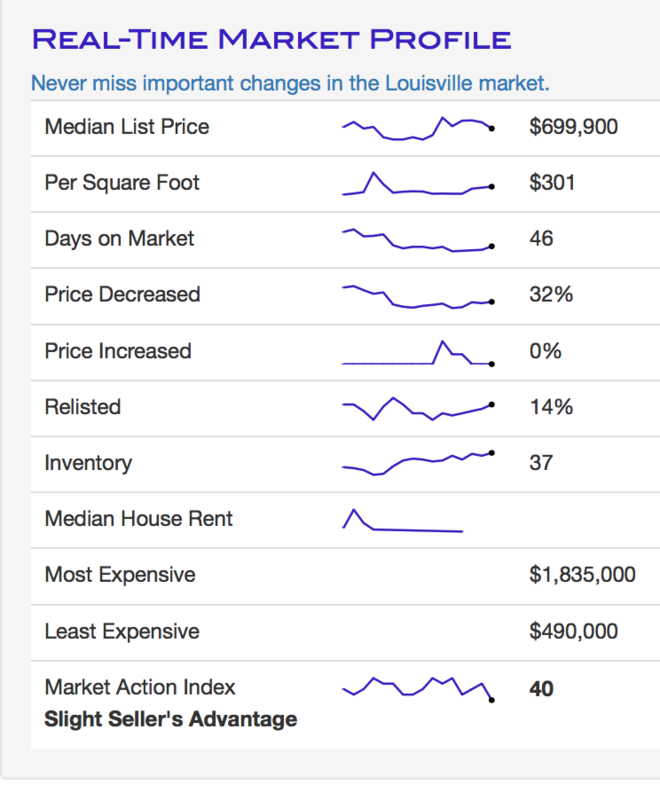 Louisville's inventory is relatively only at 37 homes on the market as of the end of March 2019, not surprising far below the 55 homes last August. "Days on Market" (DOM) has trickled down from 72 days in mid-November to 46 as of the end of March, which includes time to close. Previously we saw a large number of listings lowering their price as but currently we see 32% of sellers offering price reductions today, compared to 45% as of early August but still way up from 9% in March 2017. Check out available listings in Louisville here. This table below shows that the Town of Superior has slightly increasing supply of homes with only 23 homes for sale in the fall on average, versus 18 homes in November, still down from the 39 homes for sale in May 2018. The median list price for homes in Superior has been increasing over the past year from $502,000 in December 2017 to $755,000 at the end of winter in March 2019. Sellers who have decreased their original list price is way down from 50% in November 2018, to now just 17% by the end of winter in March 2019. "Days on Market" (DOM) is currently at 38, which is a downward trend since fall and summer months last year, which includes the time required to close. Check out all available listings in Superior here. The table below shows inventory levels have been decreasing from 87 properties in mid November 2018 to now only 64 homes on the market as of the end of winter in March 2019. 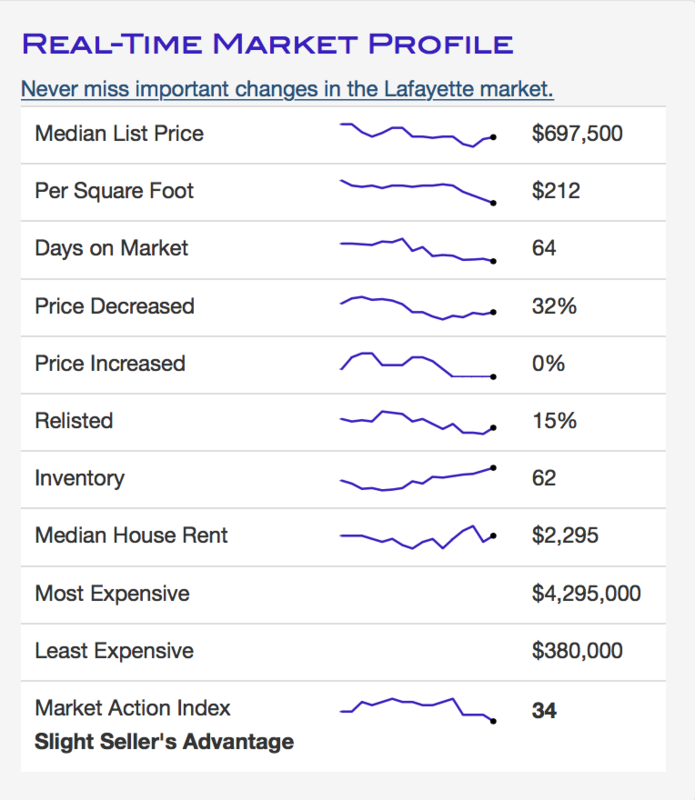 However, Lafayette's home prices have jumped up dramatically from $595,000 in August 2018,to a whopping $697,500 as of late March 2019. "Days on Market" is sitting at 64 days, which is the longest we have seen for East Boulder County in some time. Sellers have decreased their price at 32% as of March 2019 back in line with rates of 23% in August, 38% in May 2018, but still way above 9% last spring (2017). Check out available listings in Lafayette here. Erie continues to be the East Boulder community with the more homes on the market, compared to its neighboring towns. With a reported 131 single family homes on the market by the end of winter in late March 2019, this is down from 188 in November 2018. 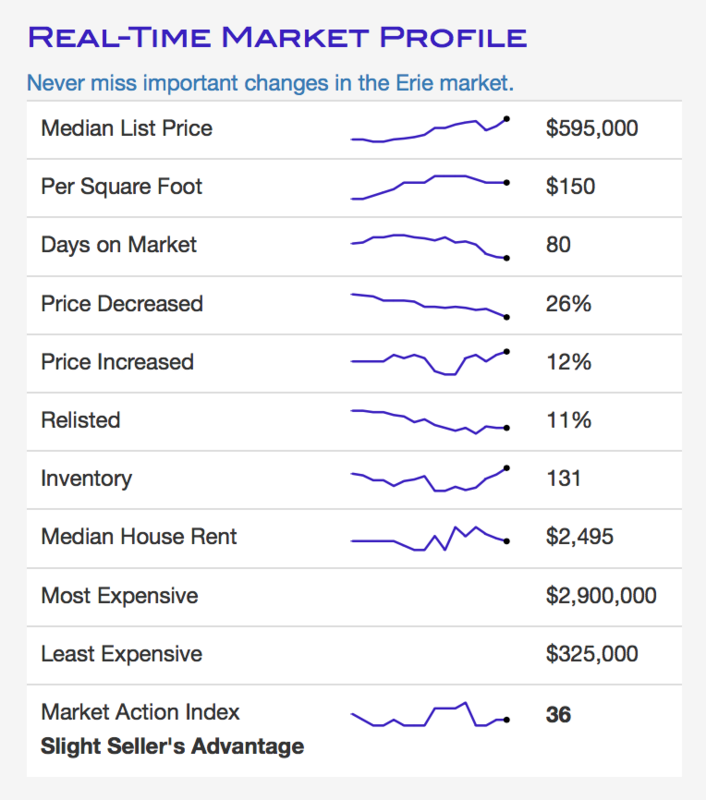 Homes in Erie have a median list price have increased from $549,950 in November 2018 to $595,000 in March 2019. Home values are holding strong in Erie, as in all of Boulder County. Days on Market (DOM) is at 80 in March 2019, slightly down from 95 in November 2018, and way down from 141 in May 2018. Erie tends to see longer DOM than neighboring towns, likely because of the popularity of new home developments in Erie, which involve a longer sales process resulting in more time required to close on a home. Sellers offering price reductions on their homes is down to 26% in March 2019 from 52% in November 2018. Check out listings in Erie here. Real estate market statistics are courtesy of Chicago Title of Colorado, Inc. Data provided by Altos Research.